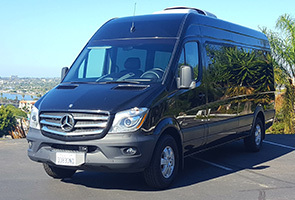 Rent a Sprinter van in San Diego, Los Angeles, San Francisco, Las Vegas, Phoenix, Dallas, New Jersey / New York & Richmond, get nationwide one-way rentals & deliveries to your business. 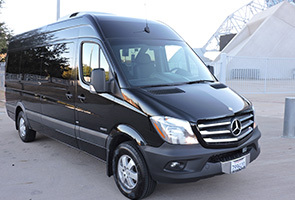 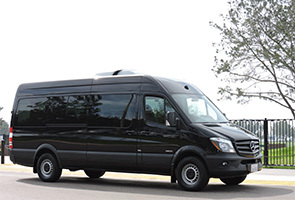 Get your fuel efficient Mercedes-Benz Sprinter passenger, business or cargo van from the leading large and mid-size van rental company in the U.S.
Sprinter-Rentals prides itself on our extensive, Mercedes-only Van fleet. 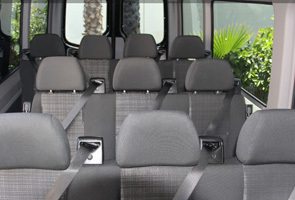 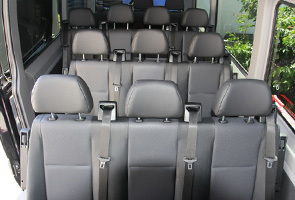 All of our passenger vans have TV/DVD players and are spacious enough to seat your entire group plus all their luggage. 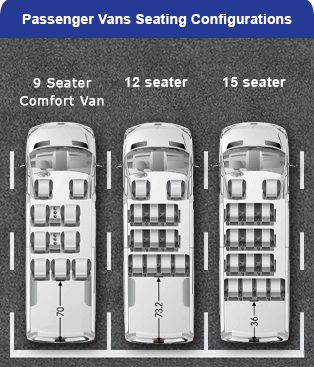 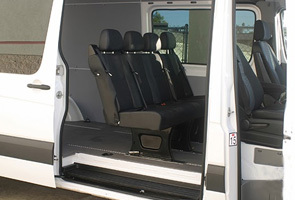 The 12 passenger vans & 15 passenger vans offer very comfortable bench style seating with ample legroom plus cargo space in the back. 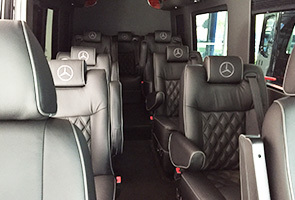 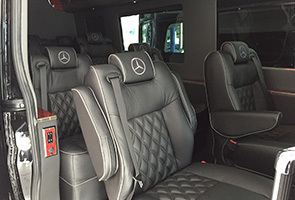 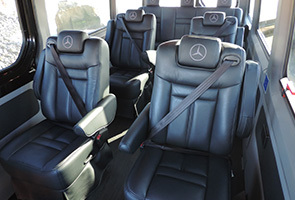 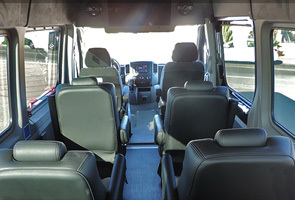 If you looking for a bit more luxury, our 9 person Comfort class conversion vans are equipped with plush reclinable captain chairs making it the ideal van for the long road-trips or executive travel. 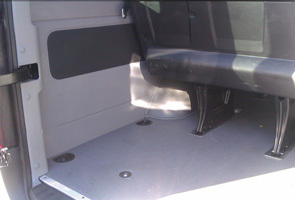 Our “traditional” 2 seater cargo has nearly 500 cubic feet of space covering 14 feet of enclosed cargo area. 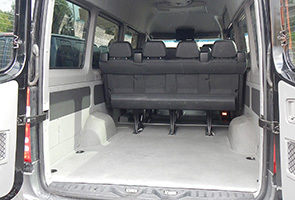 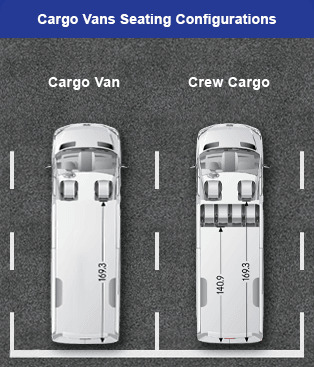 If you are needing to transport more people and still require a lot of room, our Crew Cargo Van will do the job. 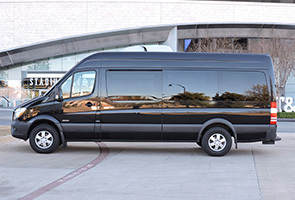 Please choose from any of the locations below or have your van delivered to any location in the United States. 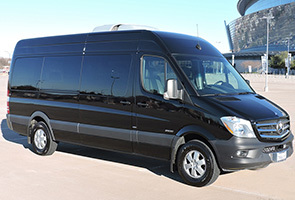 Rentals are available nationwide in any City or at any Airport not listed below. 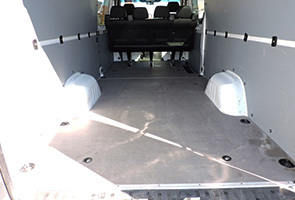 Enjoy reasonably priced Door to Door service and let us bring the van directly to you. 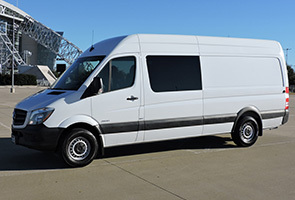 The company was born years ago when our Ford Van Rental Fleet Manager met two enthusiastic Mercedes mechanics who were bragging about how good these Mercedes Sprinter Vans were and how long they lasted. 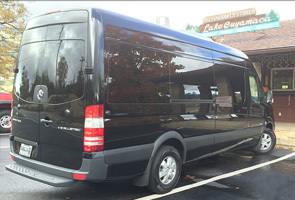 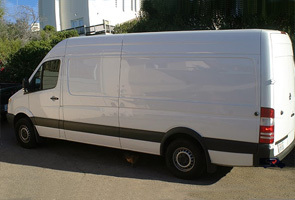 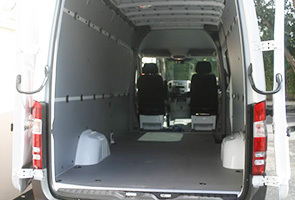 Plans were quickly made to purchase Sprinter Vans and make them available to you for rent. 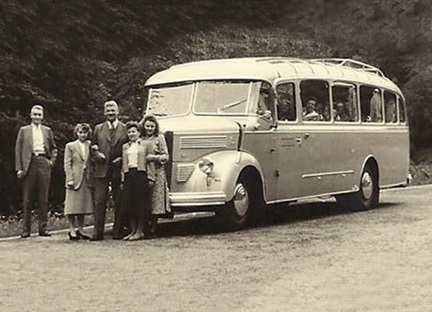 Presently, one of the two mechanics has joined our fleet maintenance department while the company is managed by an event planner, whose family operated a bus-tour company from 1932 to 1960. 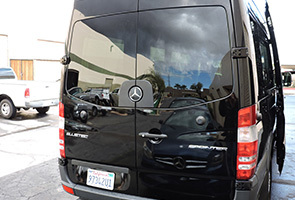 Renting the right vehicle you want and getting it can be problematic and painful - our office staff will customize any reservation, from your trip around Los Angeles, Las Vegas or anywhere in the United States–we have the expertise and experience to get you there.